Permits: None, but parking fees are required. This is a Pacific Northwest classic! 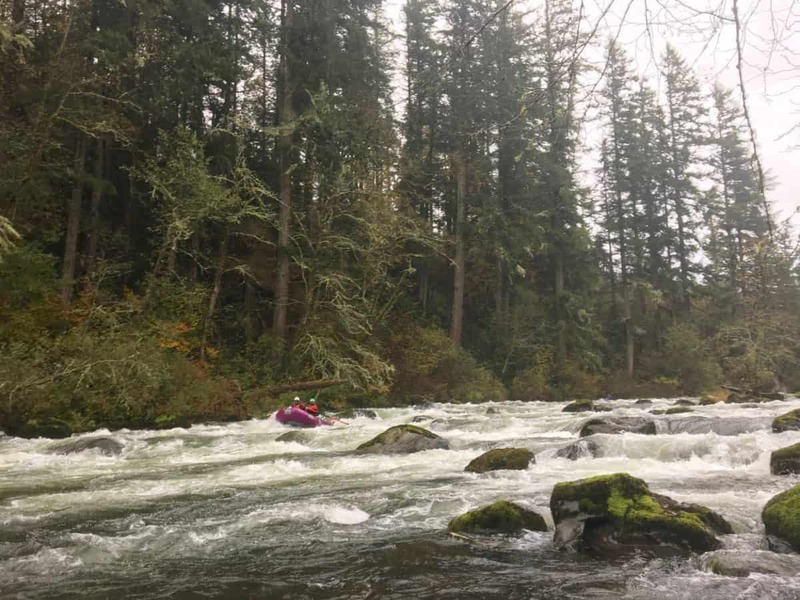 With close proximity to Seattle weekend warriors don't have to travel far for some beautiful scenery and great whitewater. 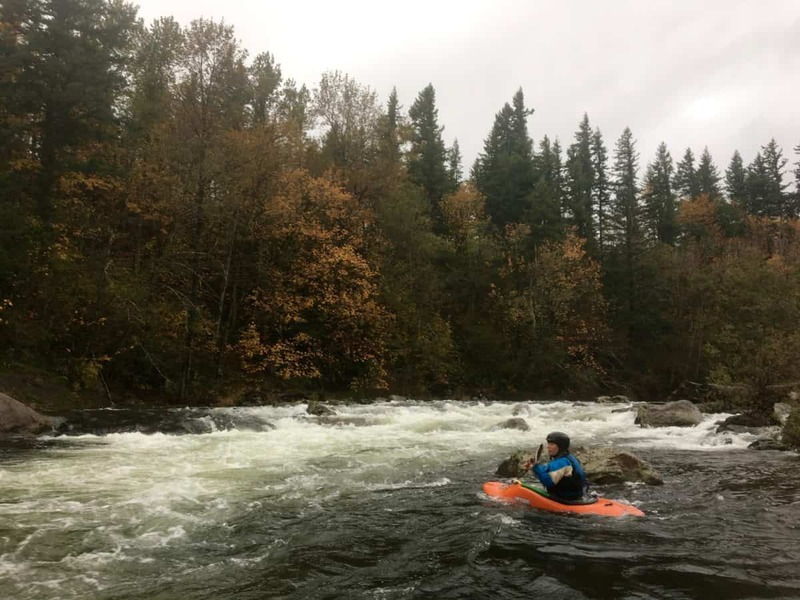 This pool-drop run is great for kayakers and rafters alike. The Green River offers technical boulder gardens, wave trains, and great surf/play spots for both kayaks and rafts. Mile 0: Put-in at Kanasket-Palmer State Park. You can easily put in above Ledge Drop One (III), or even just below the rapid. Mile 2.7: Mercury (III+) is a long boulder garden. Right after is Nozzel (IV). Run the middle line between the two largest rocks. Mile 5.3 The river splits, with some wave trains down both channels. Right after this rapid is the old town of Franklin. Just downstream is a wonderful water fall coming in on the left. Keep an eye out for wood. There was a river wide log that made for one quick and easy portage.